The Academy has announced its selection of the US finalistis for the 39th Annual Student Academy Award Competition. See the selection. Academy members will view the finalists’ films at special screenings and vote to select the winners. Gold, Silver and Bronze Medal awards, along with accompanying cash grants of $5,000, $3,000 and $2,000 respectively. The award ceremony takes place on on Saturday, June 9, at 6 p.m. at the Academy’s Samuel Goldwyn Theater in Beverly Hills. 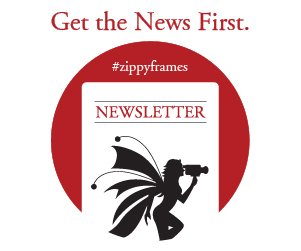 Zippy Frames is a online portal for European and independent animation worldwide since 2011. We publish news and reviews, cover animation festivals, host short films, and update on pitching calls and academic news. Represented by Scheriaa Productions. © Zippy Frames, 2011-2019 All rights reserved.